When it comes to casual outfits, I’m all about a cute top and jeans. 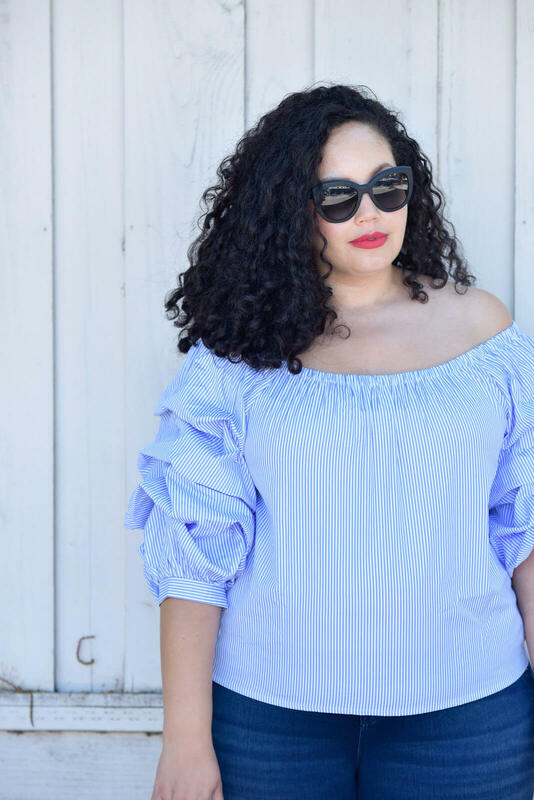 This top is one I couldn’t pass up since it has two of my favorite elements: stripes and ruffles. Adding a statement shoe into the mix makes the look a bit more special, taking it to a dressier place overall. When I spotted these color-block cap toe slingbacks it was love at first sight – reminiscent of Chanel without the hefty price tag (score! ), classic yet modern and perfectly neutral, so they literally go with everything. Not to mention the heel is only an inch and a half (a trend I couldn’t be more excited about) so they’re super easy to walk in, pregnant or not! Sophisticated-chic with a 1.5 inch heel.